Florida Sleep Solutions, Inc is a comprehensive clinical facility diagnosing and treating the full spectrum of sleep/wake disorders. Our centers for Sleep Disorder Services are located in central and north Florida and designed to meet our important goal of providing the highest standard of medical care in a comfortable environment for the patients. We can assist with providing a diagnosis for all sleep problems such as sleep apnea, excessive sleepiness, insomnia, sleeplessness, snoring, parasomnia, restless leg syndrome and many more. We are also a licensed and accredited Home Medical Equipment Provider. We are fully accredited by the American Academy of Sleep Medicine and the Accrediting Commission for Health Care. (01/15/2018) Melatonin, a naturally occurring amide, is a hormone synthesized by the pineal gland from the amino acid tryptophan. Melatonin regulates the dark-light clock in our brains that governs such things as the sleep-wake cycle, body temperature, and hormone production. Melatonin levels increase from evening to night and then decrease as the morning approaches. 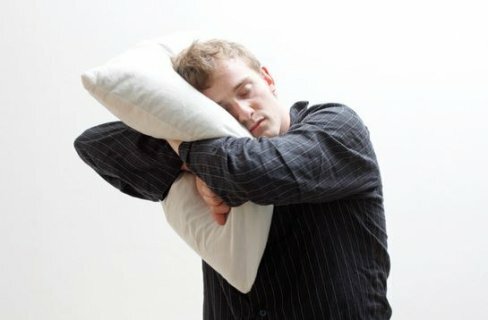 People with high levels of melatonin sleep longer and more soundly than those with low levels. The concentration of the hormone in our bodies varies with age - 6 year-olds have more than five times the concentration that 80-year-olds have, which is one reason young people have less trouble sleeping than older people. Foods that offer high levels of tryptophan are excellent choice for a late night snack, including walnuts, almonds and dairy (warm milk). (10/18/2017) (This article / interview was published and conducted by Terry Gross)​The National Sleep Foundation recommends an average of eight hours of sleep per night for adults, but sleep scientist Matthew Walker says that too many people are falling short of the mark. "Human beings are the only species that deliberately deprive themselves of sleep for no apparent gain," Walker says. "Many people walk through their lives in an underslept state, not realizing it." Walker is the director of the Center for Human Sleep Science at the University of California, Berkeley. 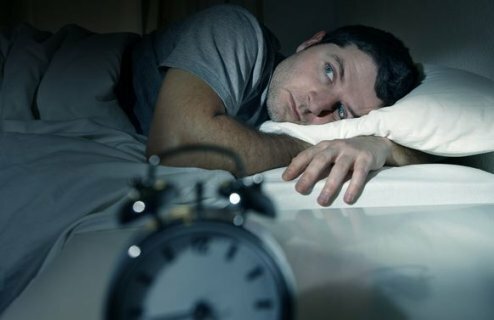 He points out that lack of sleep — defined as six hours or fewer — can have serious consequences. Sleep deficiency is associated with problems in concentration, memory and the immune system, and may even shorten life span. 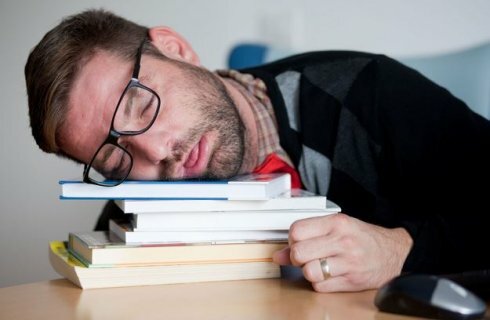 "Every disease that is killing us in developed nations has causal and significant links to a lack of sleep," he says. "So that classic maxim that you may [have] heard that you can sleep when you're dead, it's actually mortally unwise advice from a very serious standpoint." Walker discusses the importance of sleep — and offers strategies for getting the recommended eight hours — in his new book, Why We Sleep. 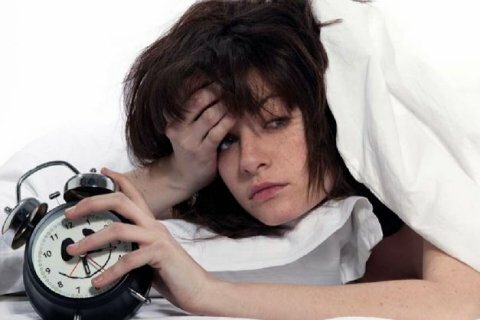 Interview Highlights On what you should do if you can't sleep You should not actually stay in bed for very long awake, because your brain is this remarkably associative device and it quickly learns that the bed is about being awake. So you should go to another room — a room that's dim. Just read a book — no screens, no phones — and only when you're sleepy return to the bed. And that way your brain relearns the association with your bedroom being about sleep rather than wakefulness. Another thing that people can do if you don't want to get up and go to a different room is actually try meditating. ... Being quite a stoic, hard-nosed scientist, I actually didn't really believe the data [about meditation as a sleep aid], even though the data is very strong. And I started doing it myself, particularly when I was traveling with jet lag, and I found it to be very effective. 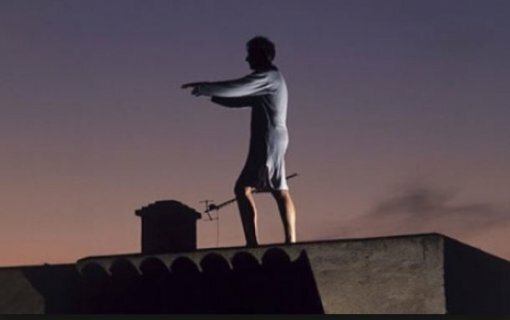 ... · It just quiets the mind and it dampens down what we call the "fight or flight" branch of the nervous system, which is one of the key features of insomnia. And that can really have some efficacious benefits too. So that's another solution if people would choose not to go to a different room. On whether you can make up for a sleep deficit by sleeping longer another day You're trying to sleep off a debt that you've lumbered your brain and body with during the week, and wouldn't it be lovely if sleep worked like that? Sadly it doesn't. Sleep is not like the bank, so you can't accumulate a debt and then try and pay it off at a later point in time. And the reason is this: We know that if I were to deprive you of sleep for an entire night — take away eight hours — and then in the subsequent night I give you all of the sleep that you want, however much you wish to consume, you never get back all that you lost. You will sleep longer, but you will never achieve that full eight-hour repayment, as it were. So the brain has no capacity to get back that lost sleep that you've been lumbering it with during the week in terms of a debt. On letting teenagers sleep on weekends Parents will often pull the covers off their teenager [on] weekends and say, "It's daylight out! It's noon! You're wasting the day!" And that's wrong for two reasons. ... It's not their fault; it's their biology that wants them to be asleep at that time. But it's more than that, because it also turns out that they are trying to sleep off a debt that we have actually saddled them with by way of this incessant model of early school start times. We have to abandon that attitude and we also have to change the educational practice as well. On how the quantity and quality of sleep decreases with age The amount of sleep — the total amount of sleep that you get — starts to decrease the older that we get. I think one of the myths out there is that we simply need less sleep as we age, and that's not true, in fact. We need just as much sleep in our 60s, 70s [and] 80s, as we do when we're in our 40s. It's simply that the brain is not capable of generating that sleep, which it still needs, and the body still needs. So, total amount of sleep actually decreases. We also know that the continuity of sleep also starts to fall apart. Sleep becomes much more fragmented. There are many more awakenings throughout the night — pain, bathroom trips, etc. But we also know that it's not the quantity of sleep that changes with aging, it's also the quality of sleep. It seems to be particularly the deepest stage of sleep — something that we call non-rapid-eye-movement sleep, or non-REM sleep, the very deepest stages of non-REM sleep — those are selectively eroded by the aging process. By the time you're in your 50s, you've perhaps lost almost 40 to 50 percent of that deep sleep you were having, for example, when you were a teenager. By age 70, you may have lost almost 90 percent of that deep sleep. On using sleeping pills, like Ambien, to sleep Unfortunately the current set or classes of sleeping pills that we have do not produce naturalistic sleep. So they are all a broad set of chemicals that we call the sedative hypnotics, and sedation is not sleep, it's very different. It doesn't give you the restorative natural benefits of sleep. ... If you look at the electrical signature of sleep that you have when you're taking those medications, it's not the same as a normal night of sleep. On how caffeine affects sleep First, and most obvious for some people, is that it stops you falling asleep. Some people, however, say, "I can have a cup of coffee after dinner and I fall asleep just fine, so I'm not one of those people that is sensitive to caffeine." And that's quite dangerous, because we also know that even if you can fall asleep, the depth of the sleep that you have when caffeine is swilling around within the brain is not going to be as deep anymore. So people may wake up the next morning, they'll feel unrefreshed. They'll start to reach for the coffeepot earlier. They'll drink more caffeine, never having realized that it was the cup of coffee last night that has left you feeling underslept, because they didn't wake up during the night, they didn't have problems falling asleep, but caffeine can still have that deleterious impact. On alcohol's effect on sleep Alcohol ... is a sedative drug, and what you're doing there is simply knocking yourself out. You are removing consciousness quickly from the brain by way of having alcohol, but you're not putting yourself into naturalistic sleep. The other issue is that alcohol will fragment your sleep — it will litter it and punctuate it with many more awakenings throughout the night, so short ... that you tend not to remember them. So, once again, you're not quite aware of how bad your sleep was when you had alcohol in the system. The final aspect of alcohol is that it is very good at blocking your REM sleep, or your dream sleep, which is critical for aspects of mental health within the brain and emotional restitution too. So alcohol [is a] very misunderstood drug when it comes to sleep — not helpful. (09/16/2015) One of the most difficult things to deal with when trying to obtain a good nights sleep is nasal congestion. Moreover, if you are a CPAP user, congestion can create a world of troubles. There are many nasal decongestant products on the market, some stimulate you when your trying to relax, others, like nasal sprays, can lead to horrible rebound congestion. I have always been a fan of natural medicines and would prefer a natural remedy, rather than ingesting a synthetically created product, even if our FDA says its safe (because they have never been wrong before...). The only issues with natural products is they sometimes take a little longer than I would like to work. I recently was introduced to a product called Respigard, created by Natures Nurse, using red mangroves. These mangroves have survived some harsh living environments and have developed some neat characteristics. A study conducting with Dr. Carroll (Largest Asthma Institute in US) in Atlanta found that 79% of his participants had most or all of their cold symptoms (including congestion) cleared up within 24-48 hours. That's as fast, if not faster, than most cold medicines. Nevertheless, I carried a bit of skepticism. I acquired a bottle of Respigard and was pleasantly surprised and amazed that it actually works. I suffer from horrible congestion, and as a CPAP user, have always had to breathe through my mouth. With CPAP therapy, this causes a lot of dryness, which leads to discomfort and eventually, deep rooted dislike for my CPAP therapy. However, since I have been taking this product, it has helped me enormously. I currently give it to my daughter, whose 3, for all those pre-school bugs she likes to bring home. And by the way,....it actually taste good.So consider this an endorsement and I intend on sharing this information with all our patients who have to use CPAP or who suffer from congestion. If you would like more information about this product, visit www.naturesnurse.com. I will currently work to see if we can distribute and you will be able to purchase from this website.